Directions: 210 Freeway to Fruit. North on Fruit to Baseline. Baseline to Esperanza. Right at Esperanza to Stephens Ranch Road. Right at Stephens Ranch Road toward Marshall Canyon Golf Course. Continue past GC to top of hill and around to where the road splits. Turn sharp right up an unpaved road to parking lot. Enjoy the views there. This is coastal sage scrub habitat on the south and west facing slopes, some remnant walnut woodland on the north and east facing slopes and low elevation riparian woodland in the canyon bottom. Quite a mosaic. The season is fall when it looks its worst, having gone a long time with no rainfall or fog drip; still we found beauty. 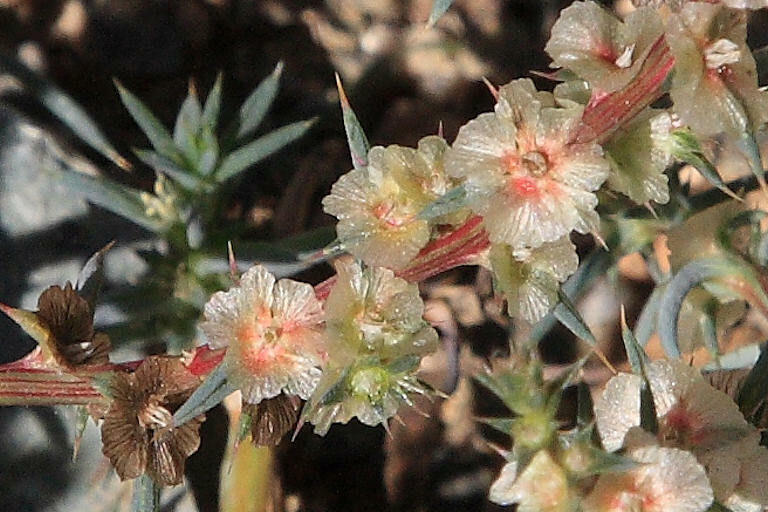 Graham's photos made plants like tumbleweed in bloom look gorgeous. 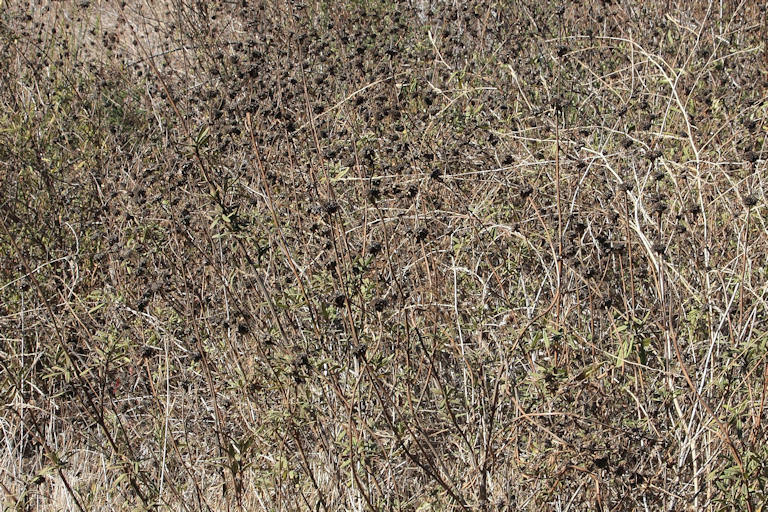 Tumbleweed also called Russian thistle, Salsola tragus, on the Marshall Canyon Trail. Photo by Graham. 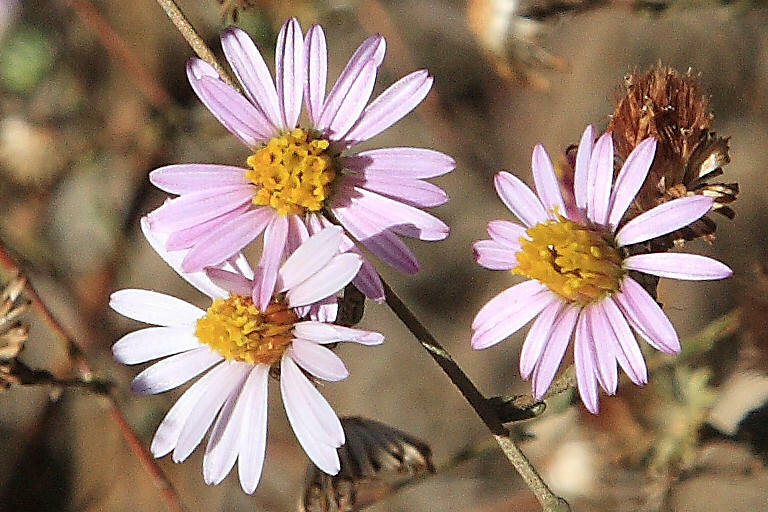 California aster, Lessingia filaginifolia, on the Marshall Canyon Trail. Photo by Graham. California walnut, Juglans californica var. californica, in fall color. Photo by Graham. 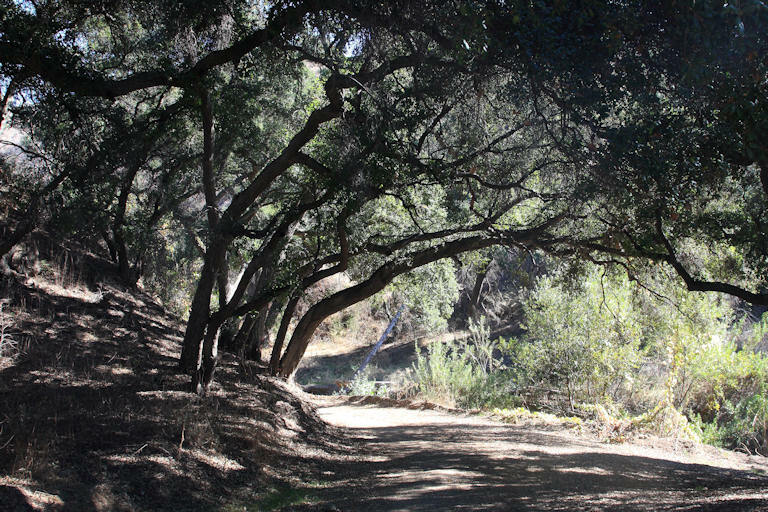 Coast Live Oak, Quercus agrifolia, providing shade in the canyon bottom. Photo by Graham. Black sage, Salvia mellifera, got its name from the dark color of its flower stalks at this season. Photo by Graham. 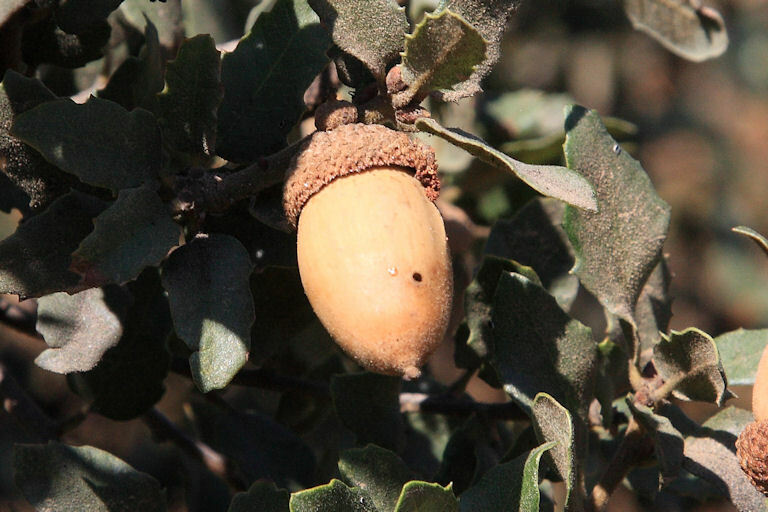 Our very own endemic, San Gabriel Mountains Leather Oak, Quercus durata var. gabrielensis. 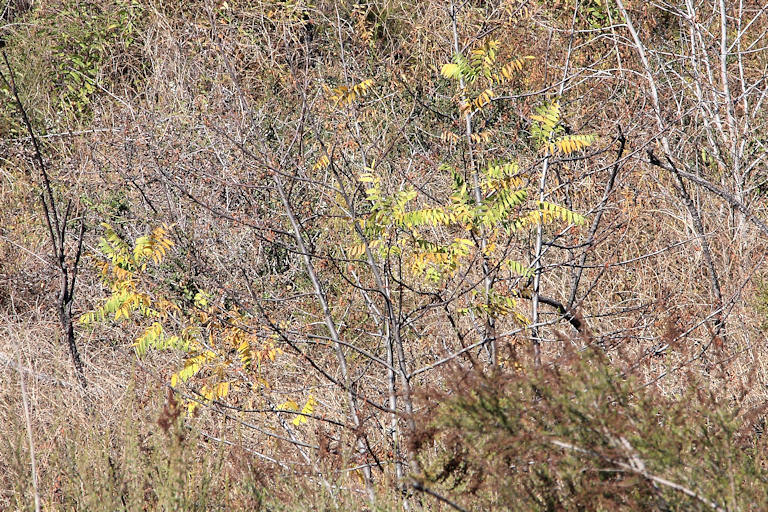 The dense golden hairs on the curved, toothed leaf pick up and hold the dust of this season. Photo by Graham.